"ASK FOR HELP! Delegation is key. I know when I was planning, I was afraid of being needy, annoying, or "bridezilla"-esque if I asked for help. As a result, I heaped unneeded stress on myself. When I finally took a step back, I realized how excited I would be if a friend relied on me to organize something for her big day. I would be honored! With that in mind, I began asking for help, and my stress load decreased exponentially." "Make a decision and stick with it. I have a lot of brides who get on Pinterest and continue to find new ideas and change their minds. This is overwhelming for you and will make you more stressed!" "At the end of the day, just remember how lucky you are to have found love and that you are marrying the man of your dreams. Your wedding day is just the beginning of a beautiful life together." For the past couple of months, we have been traveling across the United States (well...virtual traveling) to speak with all types of wedding vendors - florists, venues, DJs, videographers, photographers, hair and makeup artists and so many more! We contacted 9,052 vendors and narrowed that down to just 100. What the series is all about! This series is all about managing your stress. For those of you who read yesterday's post on the different types of wedding planning stress (the good and the bad), we promised you that we would give you a way to manage your stress and nerves, so here we go!! We have asked vendors to provide us with the most helpful and unique ways for brides to manage their stress and as you will see over the next 10 days, we've found some pretty interesting ways that vendors have helped brides manage their stress. While not every tip and trick is going to work for all of you, we will be providing you with a pretty wide variety so there is sure to be at least a couple that will work for each of you! Each day, we will be featuring 10 vendors. All vendors will be presenting their unique advice, so keep an eye out each day to make sure you don't miss the vendors featured in your state! How were these vendors chosen? Jacqueline + Sean :: Woodmark from Moving Picture Weddings on Vimeo. "Imagine how important this decision/crisis/choice will be to you in five years. Having a great picture of you and your family on the day of the event with that grandmother you love - very important! The exact shade of the gold foil logo on the cocktail napkins being just a bit off?? You won't even remember that in a month, let alone five years. Be sure you run your every stress through the five-year test!" "Pretend that your wedding is a month before it really is, and have everything done by that date. Then you still will have 4 weeks to relax and actually enjoy yourself!" "It is so very important that you surround yourself with people who do not stress you out. If you don't get along with your sister, then don't have her go with you for cake testing. Choose people who are truly there to help and guide instead of take over and be jealous." "Stop looking at hair/makeup pics after you've already had your trial and loved it! It only makes you second guess your decisions and creates anxiety." "Hire the proven professionals - speak freely and honestly to them about your desires and dreams for your wedding, and pay very close attention to whether they are actually listening. And if they are in fact listening and are proven professionals, relax and let them do the work. Trust in them and enjoy your special day." "Don't forget about taking time out for yourself. Depending on your situation as far as the condition of your skin or hair due to stress, I give by brides homework prior to us meeting again. Most of the time I share with them some awesome home remedies for deep conditioning treatments and hair masks to try. Or, if their budget allows, to get a facial and a massage for even better results on their wedding day." auvid + charlie [a greenbrier wedding] from wvmotionworks on Vimeo. "Have faith that it will all be perfect. Have vendors you can count on and don't obsess." "Simply look around and realize everything is for you . . . enjoy all the hard work. It is Your Day. Let us do the work and you can relive your day forever." jeff & libby \ married from jasonrjonas on Vimeo. "Sit back, take off your heels, close you eyes, and think of a peaceful place...the ocean, a beach, a forest, etc.....then breathe deeply and let yourself go there. Being a winery, we can also offer the bride (if she's 21, of course) a glass of wine to calm her down as well as her mother if need be!" "Keep an open mind and remember that this is a NEW experience for you, so it's okay if you don't have all the answers! That's why dedicated, reputable wedding professionals are here to help!" "I tell all of my brides that not everything will go exactly like they have planned it, and that is okay. But, I will try my best to "fix" whatever it is that needs to be fix: if that's hair, makeup, if I need to be a bridesmaid, or even bake a cake, I will do it! This seems to calm them down so they can relax and enjoy their day." "Your wedding day is NOT about the pictures. When I work with a bride on a timeline, I am really careful to ensure we aren't shooting ALL DAY LONG because that's not only exhausting for me and them, but it can really take away from the meaningful parts of the day, and add to everyone's stress. So my advice would be to forget about of any major part of your preparation that is "just for the photos." Don't buy a second dress "just for the photos." Don't spend 30 hours on a headpiece that's "just for the photos." Do the things that you want, but do it for YOU and your own style and personality as a couple! Don't spend a lot of time planning out details just so they'll look good in a photograph - because in that case you're just trying to impress strangers!! Nobody's got time for that! There are millions of wedding blogs and a lot of "noise" out there...and expectations that you will have loads of amazing STUFF for your photographer to capture. Do your best to see past that noise. Find a photographer who sees past it too. You will forget a lot of your day, so focus on creating the elements of your wedding day that will be truly meaningful to you in 10 or 50 years." "Hire people that your heart and your head tell you that you can trust. You need to actually "like" the people you hire for your wedding day. So, get to know them a little bit. Ask them about their family, how they got into the wedding business, and what they love about their job. The answers will tell you a lot about them. And, ask for references!" 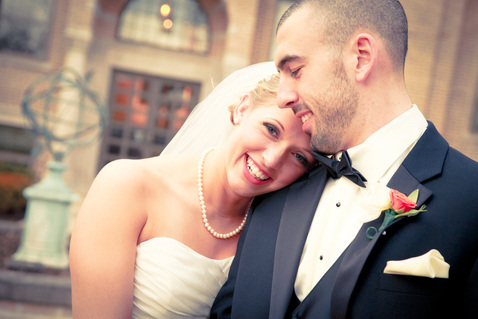 Abby & Andrew from Jeff Achen on Vimeo. "Work as much of "you" into your wedding as you can. Remember, it's YOUR day!" Katie + Tim - The Wedding Film from Zara Creative on Vimeo. "Most of the reactions you see on television are created for television. Not every girl has a fall-down, crying moment when she selects her gown. For most of our ladies, they feel great, gorgeous, like the best version of themselves. And they don't want to take it off. Those are the feelings to look for in "the gown"." "It is all in the planning beforehand! Approve your timeline before the day of - that is what makes the day go smooth as planned." "What is most important is your love for one another, not impressing anyone." "Make sure you have a timeline and that everyone involved with the wedding gets one and knows where to be. Smooth." "Only tackle one piece at a time. Don't jump around and let things get lost and misplaced both physically and mentally. You will feel much less overwhelmed if you can actually cross items off your list rather than adding on to it!" "Budget according to what matters most to you. If you don't care where you get married but you care about the photos, spend your money on a photographer, hair, and makeup and find a budget venue. 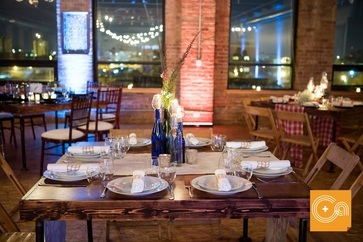 If you aren't hiring a photographer, splurge on the venue and don't hire hair and makeup! Do what will make you and your future husband the happiest." "Branch out from Pinterest. A lot of the dresses on Pinterest aren't available so when a bride falls in love with a $10,000 custom designed gown and has a $2,000 budget, they are setting themselves up for disappointment. Pinterest can be very helpful for decoration ideas and color schemes, but it needs to be utilized in moderation when planning a wedding." "Just breathe and realize that you aren't auditioning. You know everyone who is going to be there. AND, If you pass out, at least your makeup will still look good!" "It's okay to take 5 minutes to yourself any time you need it during the wedding day - 5 minutes to hold hands with your husband, or 5 minutes before you put on your dress to eat. Take those breaks in your day to savor every moment." "When we see the stress in our bride or groom's eyes and can see they are getting frazzled, we tell them to whisper something inappropriate (i.e., dirty) to each other. Why? Because they immediately laugh and remember to focus on just them and tune everyone else out. This also gets the most camera shy grooms to crack a real smile and loosen up." "Start with a budget, and keep with it. Have a notebook divided with all items that you will need for your wedding (location, decorations, floral, photography, etc.)." "Don't try to BUILD the best day of your life, MAKE it the best day of your life! Don't try to buy the best day and waste money on lavish venues and vendors, but make the day special by focusing on the people around you and the love you and your soon-to-be-husband have. The most fun weddings I've been at haven't been in amazing locations with the best everything. They were fairly simple and focused on enjoying each other and the love that is present. Then there's other weddings where the focus is putting on a huge show to impress friends and I know the couple argue about pointless things before the wedding day." Kyle & Haley Young | Wedding Highlights - Rose Briar Chapel from OKC Videos on Vimeo. "Choose vendors you'll want to use well beyond your wedding day, as you return for a christening or 1st birthday party for your child!" "Choose vendors to work with whom you trust and not just those who strike the best deal. I love a good bargain as much as the next gal, but I do not believe your wedding is the place to be bargain hunting. If you choose vendors whom you trust, then you will have no need to worry about the work they will produce." "I always tell my clients to have their wedding the way THEY want it, not how their parents or friends think it should be. It is 2014 and at this point you can have or not have any traditions you would like. I even have clients that get married without officiants!" "Breathe! This is a time to enjoy the process of planning your special day so take a minute to realize that this can be fun!" Dev Khalsa Photography from Dev Khalsa on Vimeo. "What's stress spelled backwards? >> Sserts! And do you know what that means? Nothing at all. Just remember that the next time you decide to stress out :)"
"When you wake up in the morning make sure you start your day saying, "I need to do 3 stress-free things for myself today and one of them must be some form of physical activity to help with any tension or anxiety." All of the brides that we train swear by this! You can do it!!" "Pick your battles. Really think about what you truly care about, and what is just you needing to win. I've seen a lot of people get caught up in a power-struggle over things they really didn't care about. Save your energy for the important things." "Plan but do not over plan. The more you plan the faster the day will go. Let the professionals you hire do the work for you." "Watch a funny movie the night before your wedding - something that is not wedding-themed. It will help you relax and take your mind off of the busy day to come." "Once you figure out the details and hand your concerns over to your vendors, you can be free to enjoy what is truly one of the most spectacular days of your life." "We always help our clients remain stress-free by donating as much time as it takes to help them find ALL of their vendors for their wedding day. By helping them build a strong team of vendors, the stress just melts away." "Do your research and be realistic about what you can expect to spend BEFORE you start talking to vendors." "Balance. Regardless of who's the best, what's the best, why you can't have aunt Jane sit with uncle Jimmy, or whether you have an open bar, ALWAYS remember to have balance. At the end of the day, your day will be YOUR day. Have what you want and how you want it. Breathe. Smile. And take it one day at a time. All great things come together with balance.....and mimosas"
"Take advantage of the resources available to you. Websites like The Knot contain timelines, checklists, and budget templates. Use these resources to get yourself organized and plan out exactly what you have to do. If you're on top of it early when you have plenty of time, you'll be less stressed later when it's crunch time!" "Do not feel that every decision needs to me made that second. Always make the tough decisions over a glass of amazing wine!" "We always recommend turning your cell phone over to someone else on the day of the wedding, so you are not stressed while getting ready." "Keep your rehearsal small. By that we mean ONLY bring the people who are participating in the ceremony and let everyone else meet you at dinner afterward. If you're stressed out trying to please everyone at the rehearsal, it ends up setting the tone for the whole weekend! A short, sweet, low-key rehearsal seriously leads into a low-key, calm wedding day. We promise!" "There are a million reasons to stress out, but there is only one reason you shouldn't...Because the rest of your life starts TODAY. Regardless of mother nature or mother-in-law's, there is no storm that is stronger than your commitment to each other TODAY!" 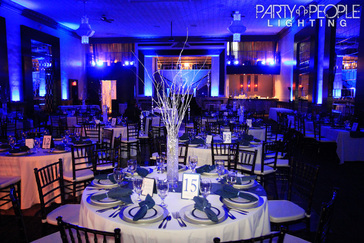 Wedgewood Wedding & Banquet Centers is exactly the type of vendor we went in search for to be featured in this series. Not only do they have beautiful venue sites for your ceremony and reception, but as you can see from they video, they really do everything in their power to make your planning experience as simple, fun, and stress-free as possible. I think we can all agree that this is exactly the type of vendor we are all in need of as we begin planning our weddings! So not only did we choose to feature these vendors because of their amazing advice, but we did our background research on each and every one of them to provide you with a list of some of the best vendors out there! We spoke to each, checked their reviews, looked at their websites, their work, and their social media accounts to ensure we were recommending only the best out there! Not only is their work absolutely AMAZING and recommended by tons of past brides, but these vendors are all a step above because they focus their work specifically on keeping their brides stress-free from booking through the wedding day. And want to know what's so cool? We have vendors from almost every single state represented! So if you are still searching for some amazing vendors for your wedding day, we have already done the research for you and would highly recommend each and every one of them. And if you find one you love that isn't located near you, contact them anyways because many of them will travel to you!! 1. You are still going to get some amazing tips on how to stay stress free while planning. 2. Many of these vendors will travel to you! So check them out!! 3. We have a giveaway for all brides who follow the series so keep reading! Over the next 10 days, will be offering practical, unique, fun, and sometimes even some silly advice. Some tips will be for the bride, some will be for the groom, some will be for the wedding day and some can even be used in your everyday lives. But no matter who you are or where you are planning, there will absolutely be some advice in there that will work great for you! Some of it I've said before, and some I have never even thought of but over the next 10 days, I am not going to say (or write) a word. All of the advice is directly from the vendors (down to each word), because I want you to get a perspective you have never heard before...since I know you hear enough of me every day :) Read what these vendors are saying and take away what works best for you. And hopefully, you will find some perfect vendors for your wedding day along the way!